The Pre-K Funding Debate: Formulas or Grants? As a new crop of governors and legislators take office in states across the country and attempt to make their campaign promises a reality, the issue of school funding formulas has been making the news. In Massachusetts, lawmakers are considering a bill that would reform the state’s school funding formula by accounting for the growing number of English-language learners and students needing special education services. Prior to his November victory, the new governor of Wisconsin, Tony Evers, called for a change to the state’s school funding formula that would pay for a full-day of 4K (kindergarten for four-year-olds) instead of a half-day. In all but five states, statewide formulas control most K-12 school funding. These formulas distribute funds to school districts based on a variety of factors. Typically, a minimum level of funding to educate a typical student in the state, known as a foundation level, is calculated and then weights are used to account for the higher cost of educating students with certain needs, such as students with disabilities, English language learners, and students from low-income families. Most states then account for regional cost variations within a state before calculating the total level of formula funding for each district. While the vast majority of states employ such a method to fund K-12 public education, it’s important to understand that the particulars of funding formulas vary significantly between states and some are better than others when it comes to equitably meeting the needs of students. According to the Education Law Center, average per pupil funding ranges from a high of $18,710 in New York to only $6,277 in Idaho, and many states have regressive financing systems that allocate less money to districts serving large shares of students in poverty. For an in-depth analysis of how the specific design of funding formulas vary between states, check out this explainer from the Urban Institute. Despite these flaws in K-12 funding formulas, in a 2018 article in The State Education Standard, W. Steven Barnett and Richard Kasmin explain why more states might want to consider using their funding formulas to fund pre-K. 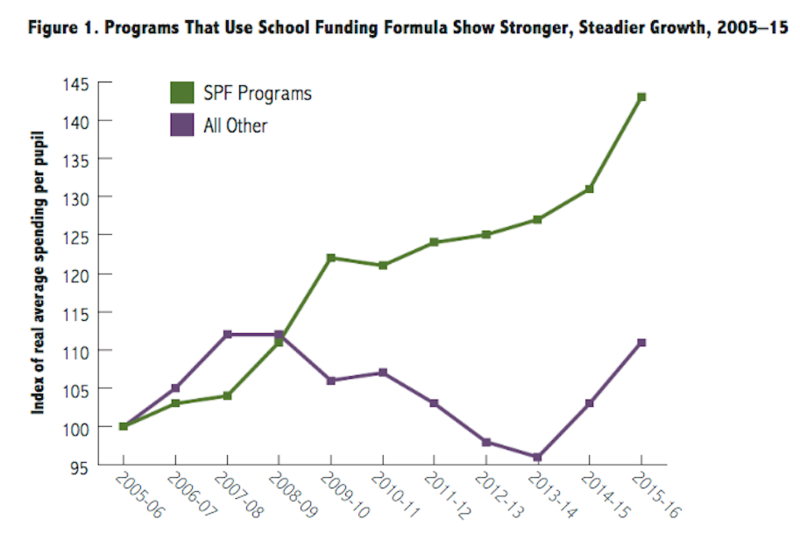 While these formulas are widely used for K-12 funding, they are relatively rare for pre-K. Barnett and Kasmin note that only 11 states currently use their school funding formula to fund pre-K programs. Among these 11 states, only three states (DC, Oklahoma, and West Virginia) fund a full day of pre-K instruction. For the vast majority of states that do not fund pre-K through their K-12 funding formula, pre-K programs are funded through discretionary grants set through the legislature’s regular budgetary process. To fund pre-K, states typically use general revenues that are generated through sales taxes, individual income taxes, and other taxes and fees. Some states have a dedicated revenue source that is specifically reserved for pre-K; for example, Georgia’s pre-K program is funded through funds collected from the state lottery. In a 2016 paper, Barnett and Kasmin pointed out some potentially negative consequences of relying on legislature appropriations to fund state pre-K programs. Because the appropriations for pre-K are discretionary rather than mandatory, the amount of funding available per child or the number of children that can be enrolled are more likely to vary based on the vagaries of the economy. In other words, when an unforeseen economic downturn, such as the Great Recession, occurs, legislators will have less revenue to dole out and pre-K programs are likely to see a decrease in appropriated funds. Relying on grants rather than formula funding for pre-K also means funding levels are subject to the changing priorities of the legislature. Lawmakers might decide it’s more important to cut the income tax rate rather than maintaining funding for pre-K programs, for example. Finally, discretionary grants have no way of ensuring that funding amounts automatically keep pace with inflation unlike many state funding formulas. 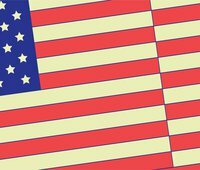 New America has generally agreed with the view that funding pre-K through funding formulas rather than grants is preferable because it’s likely to lead to higher and steadier levels of funding. That’s why when we released From Crawling to Walking: Ranking States on Birth-3rd Grade Policies That Support Strong Readers, in which we ranked states on 65 indicators in seven policy areas, we gave points to states that funded pre-K through their school funding formulas. But a response from Elliot Regenstein made it clear that there is not unanimity in the field about the superiority of funding pre-K through funding formulas rather than grants. While acknowledging that there some advantages to funding pre-K through funding formulas, Regenstein argued that the formula approach might not be the best funding method for all states and emphasizes that there might be equally compelling reasons to fund early education outside of school funding formulas. 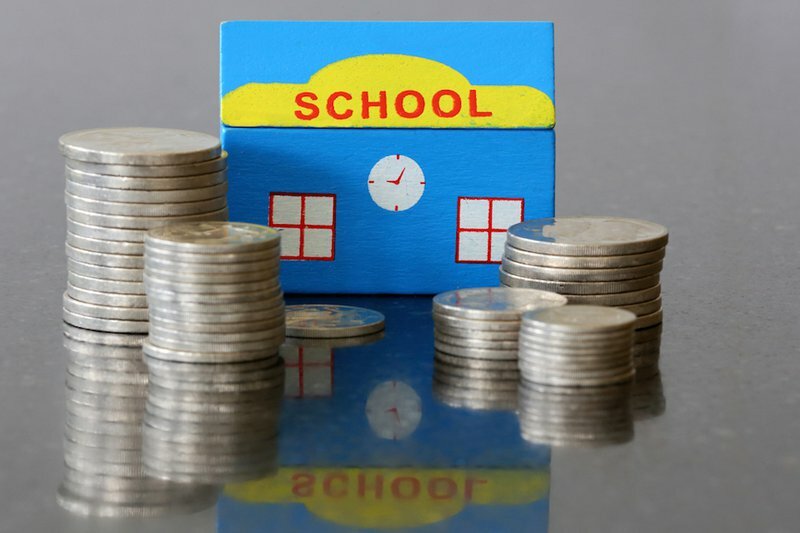 Expect to hear more about the pros and cons of funding pre-K through funding formulas as the new state legislative sessions get going and 2020 presidential hopefuls begin to tout the benefits of increased pre-K funding. Wherever you fall on the debate between funding pre-K through state funding formulas versus grants, the good news is that pre-K funding is starting to generate debate and make headlines across the country.